Happy Winter Solstice! Unless, you have a beautiful basement that you can’t visit until Springtime because you don’t have a basement zoned heating solution…. Basements in Colorado are notorious for being so cold during these longer winter nights, that we might as well close them off until April, because we can’t even use them without wearing thermal underwear. But shiver no more, there is a basement heating solution! Zoned Heating. You’ve probably gotten used to the unique heating behavior of your home, where you’ve learned that the master bedroom needs the door left open at night because it stays warmer if you do, while you might need to adjust the registers in the kitchen a bit, because that room gets too hot. You learn how to live with your system. And then, you add an open basement to the mix, and everything changes. When you make that decision to finish your basement space, alot of folks don’t realize that you need to consider the heating needs of your entire house. 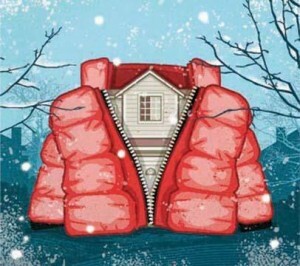 You are adding more space to heat to the whole equation, and unless you think ahead, you whole house will be effected. What is Basement Zoned Heating? We strongly recommend to each of our clients a Basement Zoned Heating System. Depending on the amount of square footage, a second furnace can be installed and zoned for the basement, or we can split your existing furnace and create two or more zones. Zoned heating works with your furnace system and adds an additional thermostat just for your basement space. Our HVAC experts, Indoor Air Quality, install a series of mechanical dampers into the existing and new ductwork, that are designed to regulate the heat between the zones, to keep all of your space at the temperature you set on each thermostat for each area. Here’s a great article from their website. Our goal is to create a basement that doesn’t look or feel like a standard basement. We want this additional space to be an extension of your existing home. We want you to get the most out of your basement throughout the year, not just during the summertime. So when it comes time to finish your space, we’ll help you decide what the most economical and functional heating solution is. Shiver not, you can enjoy your basement space all year long!